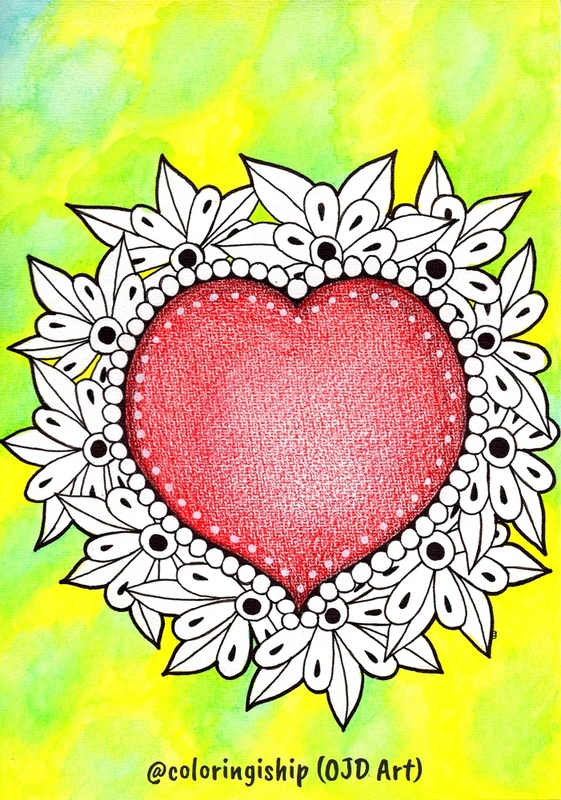 Here is the final drawing in my valentine’s doodle series – the cute heart doodle. 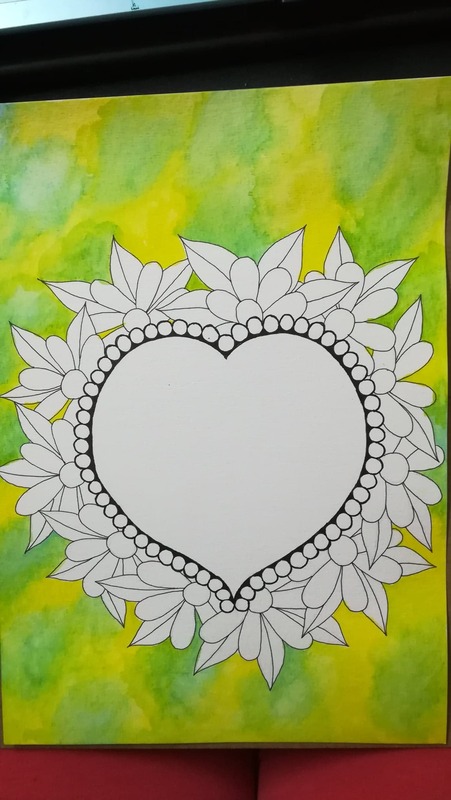 I am very happy with the completed drawing and I just love the yellow and green background. 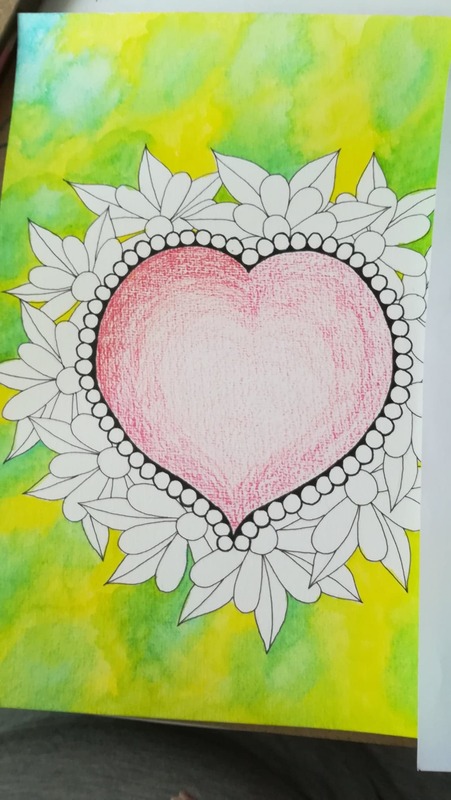 The colors make the red heart stands out more. 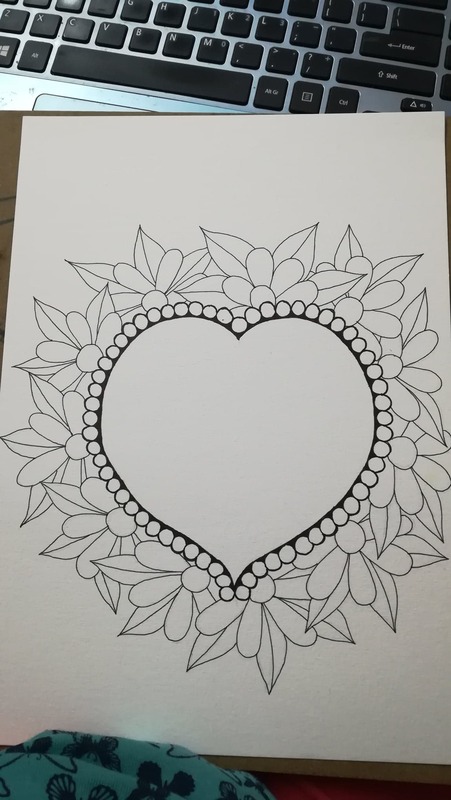 The idea to draw this cute heart doodle comes from a Pinterest pin from Adele Bruno’s blog. 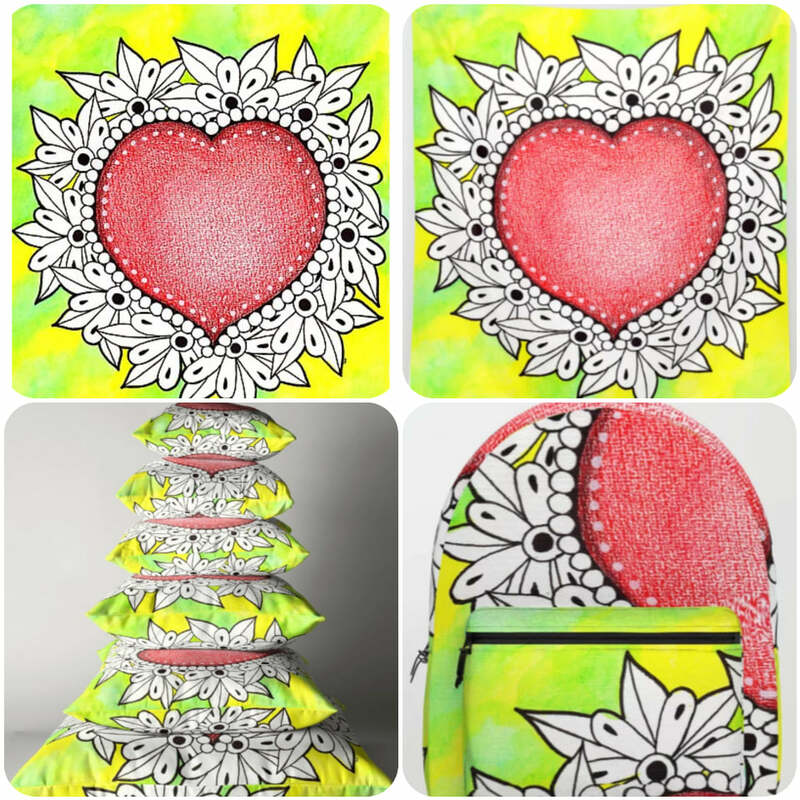 While the heart is similar I just used her art as my inspiration and created my own version of the drawing. And of course, the colors palette is different and so does the surrounding doodles. Here are the progress photos for this drawing. Initially, I wanted to make a “gem heart” just like Adele’s but I used the wrong paper. I used a watercolor paper instead of a smooth paper suitable for colored pencils. Anyway, instead of starting all over again with another paper, I decided to go ahead and have fun with the drawing. The outline was sketched in pencil and later I used black fine liners to draw over it. 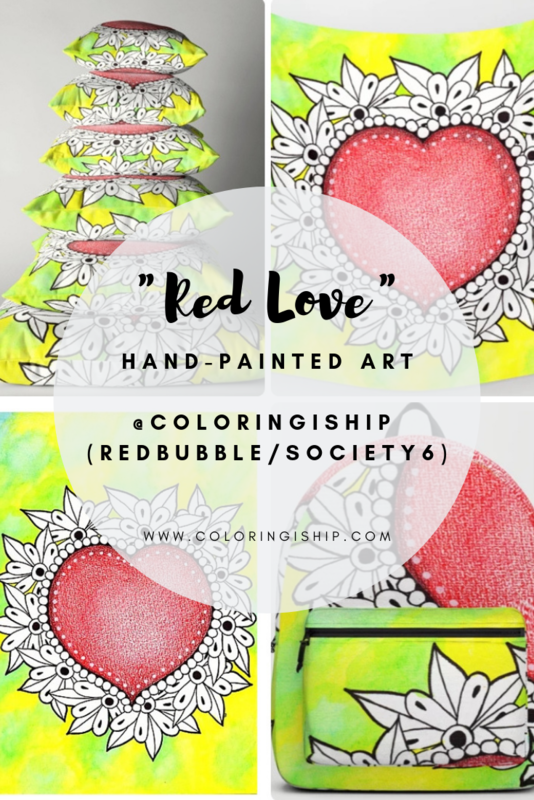 The background was painted using my favorite watercolor pencil – Staedtler Luna. And here is the completed cute heart doodle drawing! And also it’s up in my shops – Redbubble and Society6.